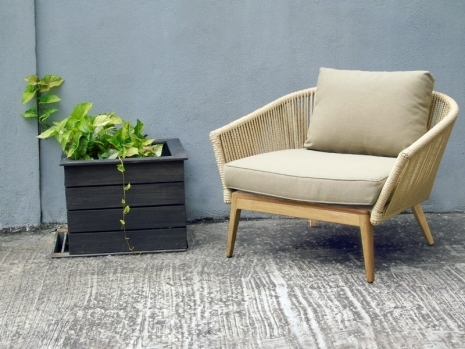 Enjoy the traditional Hyacinth in Synthetic PE material in a contemporary look. 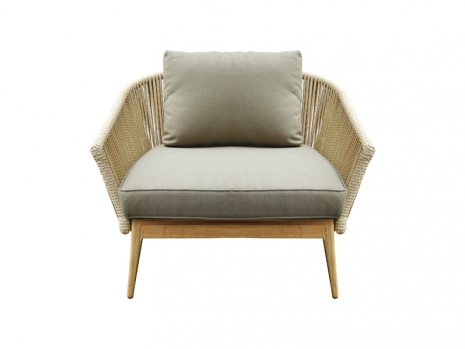 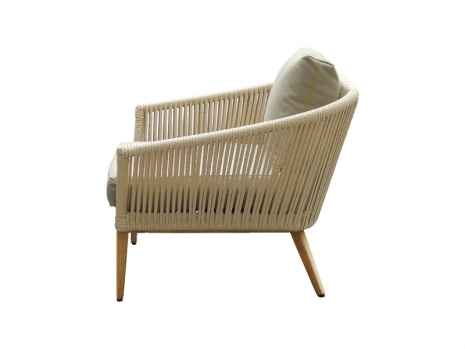 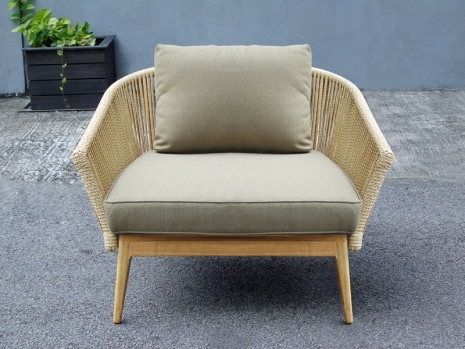 The color of the wicker woven over aluminium frame blends perfecly with Teak wood to present an elegant modern looking sofa chair. 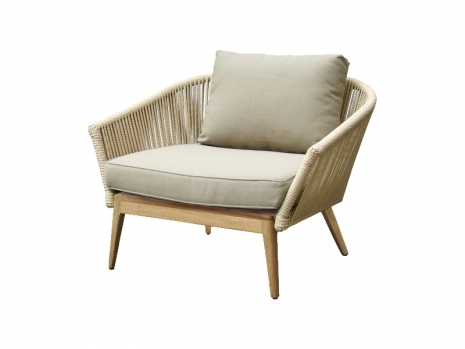 The Eco-friendly Synthetic wicker used comes with 3 years warranty with uncompromised comfort and style.